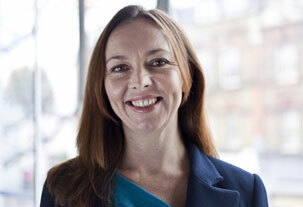 Upon qualification in 2003, Antonia joined Kingsley Napley as a solicitor specialising in family law. In 2007 she moved to Withers LLP, before founding Burgess Mee with Peter. 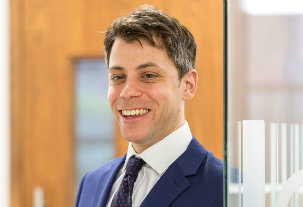 Peter trained at top family law firm Withers LLP, where he qualified in 2005 as a family law solicitor, until founding Burgess Mee with Antonia in 2013. Burgess Mee Family Law provides ‘a bespoke service to clients who do not want to pay London "City" prices but want the same level of service as the "Magic Circle" firms’, and has ‘excellent lawyers at all levels’. Antonia Mee ‘fights her clients’ corner extremely well and leaves no stone unturned’, and the ‘outstanding’ Peter Burgess works ‘equally well on the children and money cases’. Experienced mediator Peter Burgess is "a really superb lawyer" with "very good judgement," according to interviewees. He acts on high-value financial remedy cases, as well as handling prenuptial agreements and private children matters. Antonia Mee is recognised for her expert handling of wide-ranging private children work, offering particular strength in international leave to remove cases. She also acts on financial remedy concerns. She is "kind, efficient, intelligent and quick to see what's possible in a situation," according to interviewees. Clients say: "Anyone that you talk to there is really polite and friendly. You always feel like someone is there who will know what is going on in your case." Sources report that "they really do provide a first-class service and have incredible technical knowledge. They're very conscientious lawyers who look after their clients." Peter Burgess is a trained Resolution mediator who regularly advises on finance issues, including nuptial, separation and cohabitation agreements. He is "an extraordinarily sensitive, patient and accessible person who clients feel very confident in," according to interviewees, who also highlight his strength as a "very skilled negotiator."